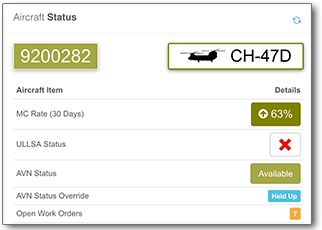 With integrated datasets like CAFRs ULLSA and equipment readiness, the Aviation Status portal can calculate exactly how many Army aviation assets the organization has available. 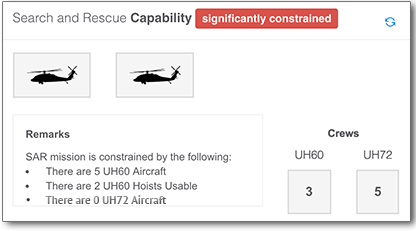 Items like crews, equipment availability and aircraft mission capable states can be realized in real time. Custom powerpoint presentations of maintenance statuses are nice, but the minute the data is captured, it’s aged. 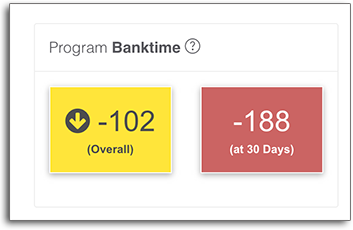 With the maintenance dashboard, you can see the most pertinent information in real time. The aviation Status portal also give your Maintenance leadership an opportunity to overlay information specific and not limited to current automation reporting fields. 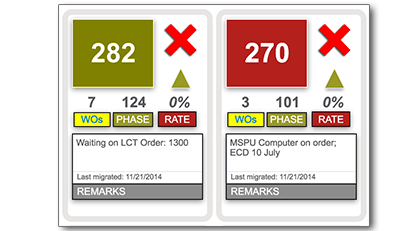 The production control dashboard helps connect data needed to manage an aircraft program. Seeing detailed data on work orders such as age and history along with fault and specific aircraft maintenance data keeps prioritized work on the front burner and focuses efficiencies in work flow. With multiple data sources available to the Aviation Status Dashboard, your Production Control team can now see what the future scheduled flights will do to the maintenance program. With real time data, the Production Control view was designed to help deliberations in the AASF PC meetings.